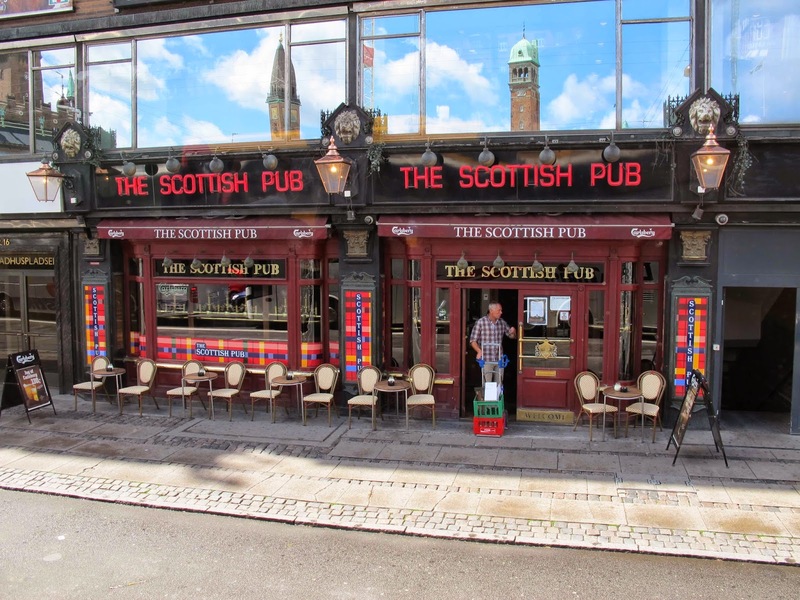 A wee touch of 'home' in Copenhagen, although I couldn't quite identify the clan from the tartan stripes! Is this really what the continentals think of us? Pubs, paraffin lamps and garish tartan! And check out the banqueting seats on the pavement. All it needs to complete the authentic look are overflowing ashtrays, empty screwtops and seabirds feasting on greasy chip papers.